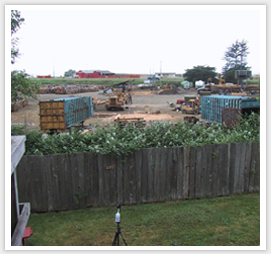 Construction | Illingworth & Rodkin, Inc.
Illingworth & Rodkin assesses noise and vibration levels from construction and rehabilitation projects at noise sensitive human or wildlife locations. We utilize a combination of field observations, airborne and underwater noise and vibration monitoring of existing levels, and airborne noise modeling of construction activities using SoundPLAN or the Federal Highway Administration Construction Noise Model (RCNM) to predict noise and vibration levels from pile driving and other major noise generating construction activities at noise sensitive locations. We also prepare technical noise documents addressing concerns and questions raised about potential project effects on noise sensitive human occupancy areas and/or sensitive wildlife habitat and species.